“Are you sure it’s ok?” asked an ISIS woman. Blankets at midnight. “Are you sure it’s ok?” asked an ISIS woman. She was holding her children as she sat in the IDP collection point outside ISIS lines. She admitted she had lost two husbands who were ISIS and she was afraid. “We were told we would be raped, tortured, and killed by the enemy if we left ISIS and ran to the SDF lines. This is amazing. Thank you, thank you,” she said. 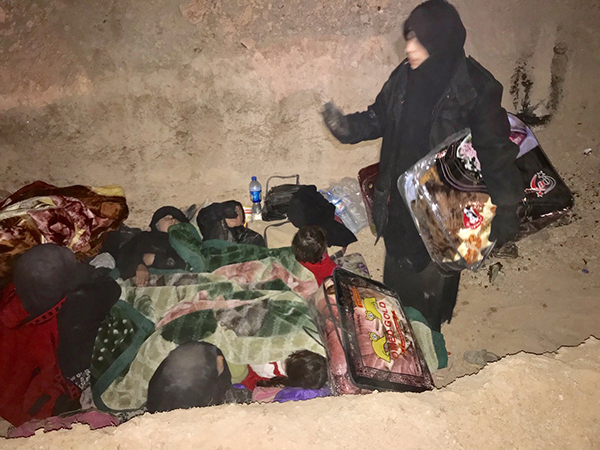 Wednesday night, she and her children were among the over 200 new arrivals, many of whom arrived as the sun set and were now freezing in the open. 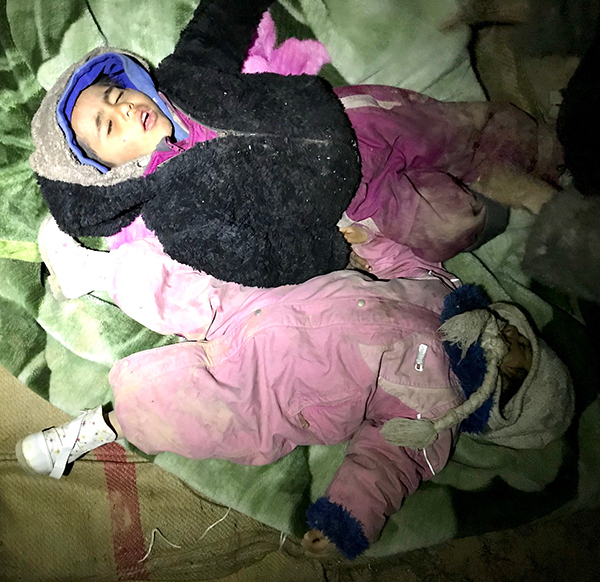 Kurds and Arabs of the Syrian Democratic Forces (SDF) both worked through the night and gave life-saving blankets and food to help them. The SDF helped us to get blankets and food to every person who had fled ISIS the past two days and it was inspiring. The IDP collection point is far away in the desert from major towns and many of the arrivals come with only the clothes on their backs and small bags. They need water, food, medical care, blankets, and shelter. 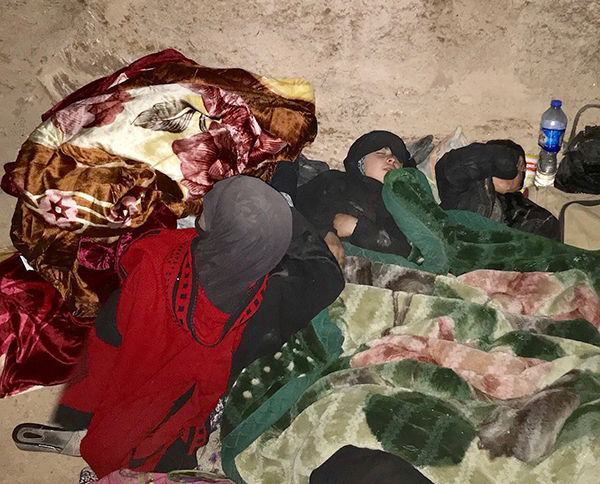 The SDF is helping us get all these needed goods and this not only relieves suffering and saves lives, it is also an act of love that these ISIS families will never forget – their enemies having mercy on them. Thanks for being in this with us. For us, we feel that without God over all this, the prayers and support of many, and the SDF partnership here on the ground, it would be impossible. We thank God and all of you. A mother cares for two babies as blankets arrive. 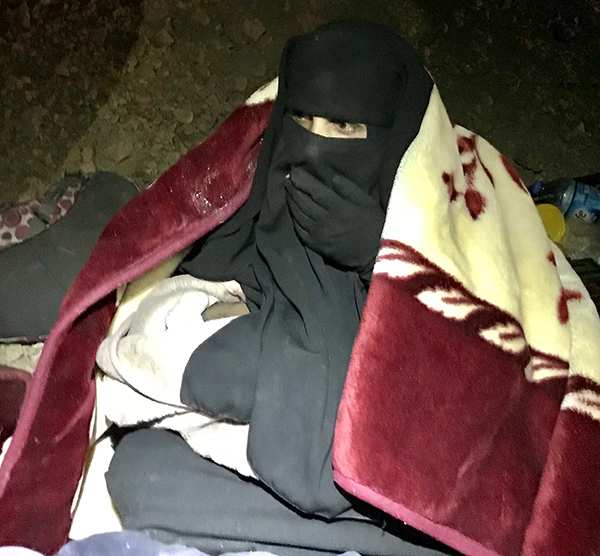 A mother and newborn with blankets delivered at midnight. 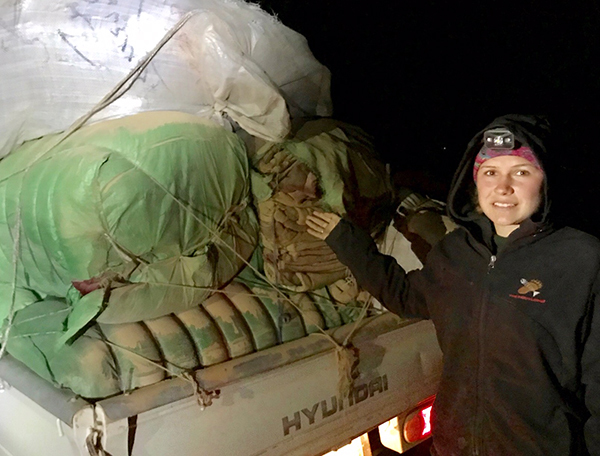 Suu with the blankets driven for hours across the desert by the SDF. A mother covers her children. A family sleeping under their new blankets. 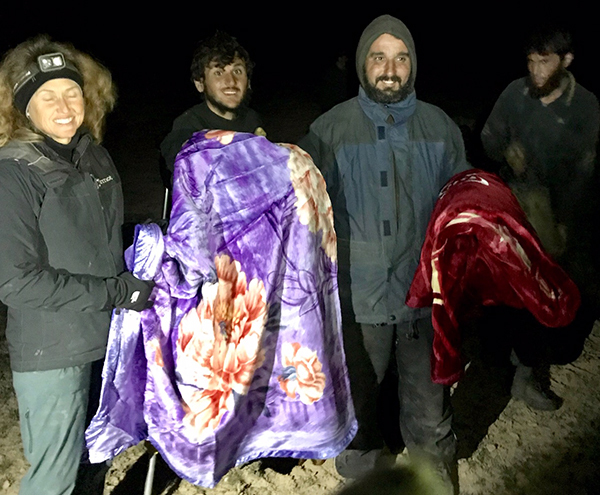 Karen gives blankets to men who recently fled ISIS stronghold.